IV indicates the embryonic 4th ventricle (the myelocephalic vesicle). 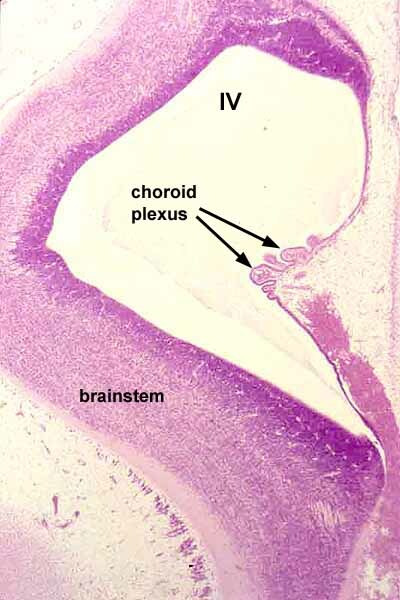 The wrinkles of tissue on the posterior surface of IV illustrate how choroid plexus forms from folds in the simple cuboidal epithelium (ependyma) which forms the roof of the 4th ventricle. Click on the thumbnail for an overview.